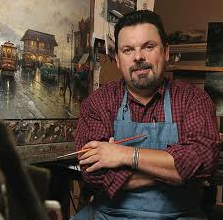 World famous painter Thomas Kinkade, knew how to capture an admiring fan base through his use of saturated pastel colors and idyllic, peaceful gardens, stone cottages, and lighthouses. After all, about 1 in every American home showcases a copy of his artwork. However, this “Painter of Light” precipitated a dark, legal dispute over his multimillion-dollar estate following his death early April of this year. The legal battle is between Kinkade’s wife Nanette, of thirty years and his mistress, Amy Pinto-Walsh of 18 months. So who gets his legacy? Ms. Walsh was with the painter in Monte Sereno, California on the night of his death when he overdosed on alcohol and Valium at the age of 54. Nanette was in the middle of divorce proceedings that had not been finalized. A joint estate plan with his wife has been set up with no mention of Amy. Yet, the paramour has produced two recent, handwritten documents claiming Kinkade had written leaving her his mansion and $10 million to establish a museum for his original artwork. The problem is that both documents, although signed, are scrawled and barely legible. Apparently, the signatures on his marriage separation papers are much clearer. Needless to say, the wills are now heavily contested. A hearing is set for July 2 in probate court for review. California recognizes such non-attested holographic wills so Ms. Walsh may have a shot. However, Florida does not. Florida law requires certain formalities in order for a will to be considered valid. For example, the testator must sign the will at the end, or have a proxy sign on his behalf and in the presence of two witnesses. In addition, the testator must have the intent and be of testamentary capacity at the time the will is executed. Florida would not recognize the holographic wills allegedly written by Kinkade because it does not adhere to the required formalities. Wills that are recognized can also be challenged on several grounds. In Florida’s probate courts, the validity of a will, under this Kinkade scenerio, could be contested on grounds of forgery, lack of sound mind, duress or undue influence. 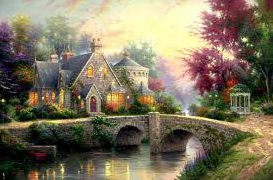 Don’t make the same mistake like Thomas Kinkade by painting an ugly, legal mess for your heirs and beneficiaries. Instead, draft your Florida Last Will and Testament with the artistic precision of a careful painter’s brush strokes by consulting your South Florida estate planning attorney today. If you have family, friends or even a charitable intent, the absence of an estate plan is inexcusable. For more information on successful Florida estate planning and probate techniques, please contact the South Florida law firm of Wild Felice & Partners, P.A. at 954-944-2855 or via email at info@wfplaw.com to schedule your free consultation. 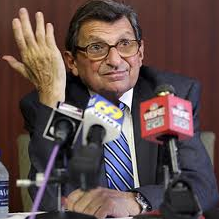 Paterno’s family have discovered yet another unsavory situation. Their unsuccessful attempt at sealing his will from public view has left them with a bitter aftertaste. They have finally realized that a will, regardless of celebrity status, is a document that must be submitted for probate and consequently, becomes public record. If they wanted to satisfy their palate for privacy, the assets should have been transferred to a living trust or revocable trust. In South Florida, trust formation eliminates the need for probate and does not become public record. The decedent’s net worth and the identity of beneficiaries remain protected from snooping, unwelcome eyes. However, transferring assets into a trust does not necessary mean you should not have a will in place. What if you unintentionally left out an asset? Do you have minor children? Drafting a proper will ensures all your assets are accounted for and that a guardian is appointed to care for your children in the event you pass away. Now that Joe’s 1997 will and 2012 codicil are available for our entertainment, apparently there is nothing particularly special or scandalous surrounding its contents. But what does raise a brow or two is why his family thought they could hide the document from Nittany Lions or the rest of the world. Well… at least the team’s multi-billionaire owner is. Miami Heat fans, when not preoccupied with Kevin Durant or silenced by LeBron James’ basket moves, are well acquainted with Micky Arison, probably the richest man in Florida. Also the CEO of Carnival Cruises, Micky is no stranger to the concept of estate planning. Did you know that his father, Ted Arison, co-founder of the Cruise Lines, went so far as to renounce his citizenship in order to avoid paying estate taxes? In 2003, the Arison family sold more than $100 million of Carnival stock in order to reduce their controlling stake in the company and diversify their investments as part of an estate and tax planning strategy. Micky has even formed the Micky and Madeleine Arison Family Charitable Trust with a philanthropic commitment to the University of Miami as well as Miami’s City Ballet, Children’s Museum, Art Museum, and the American Red Cross. Arison has been described as a very competitive person who hates the prospect of losing. Yet, the business of owning a professional sports team can cause serious financial difficulties for surviving family members after the death of its owner. In 2009, Micky probably stayed afloat with the news surrounding death of Bill Davidson, majority owner of the NBA’s Detroit Pistons, whom the Miami Heat just happened to defeat in the 2006 NBA championship. Davidson’s spouse Karen, inherited the team through a complex series of trusts along with her two adult children. She contemplated selling the team to a private equity investor, which was consummated last year. It was speculated that although the estate was worth billions, she would not owe any estate tax. However, after her death, her children would be left to pay Uncle Sam’s hefty tax bill. It would not be surprising if Micky has already engaged in smart business succession planning by accounting for the Miami Heat in his estate plan in order to save his family from the bullets of heavy taxation. However, the core of estate planning is in actuality, not about how much money you make. It’s really about protecting your loved ones, regardless of your income level or age. 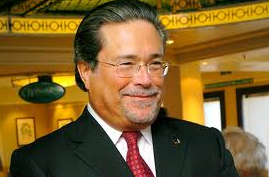 We already know what the man behind the Miami Heat is doing to solidify his estate plan. The question now remains… what are “you” doing about yours? Coaches might now think twice before telling players that getting their bell rung is a badge of courage. Currently, over 2,000 football players have filed class action lawsuits that have now been consolidated into the biggest concussion-related lawsuit against the NFL. 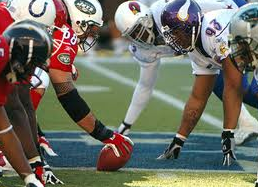 Former players contend that the NFL concealed information that linked football-related head trauma to long-term brain damage. The plaintiffs claim the league should be liable for the care of those suffering dementia, Alzheimer’s disease, and other neurological conditions. NFL’s linebacker and no stranger to the Miami Dolphins, Junior Seau, seems to have offered himself up as human evidence. There are strong suspicions that the “Tasmanian Devil” shot himself so that his brain could be studied for possible damage due to chronic traumatic encephalopathy. Although Seau was not a plaintiff in the filed lawsuits, his estate could benefit from the NFL paying a claim. Let’s imagine for a minute that Seau was a resident of Florida and had not committed suicide. In the case of wrongful death, under the Florida Probate Code, the appointed personal representative of his estate would bring action against the league and seek recovery of damages. For the average Joe watching Seau from the stands or from home; his or her personal representative would most likely bring a wrongful death claim from an incident of negligence arising from a car accident or medical malpractice. The validity of such a suit would be determined and settlement negotiations made. Consideration would be given regarding the costs and benefits of prolonging probate administration. In Florida, regardless whether the decedent was a football pro, the personal representative is solely responsible for decisions regarding the estate and must be represented by an attorney unless he or she is the sole interested party of the estate. With that being said, it will be interesting to see the outcome of this pending lawsuit. It looks like the NFL may be taking a way harder hit then their average player’s 900-1500 headshots per season. Scott Walker Survives The Election Recall, But Will Your Family Survive A Poorly Constructed Estate Plan? Wisconsin’s Gov. Walker is the nation’s first governor to survive a recall election despite the roars of union workers protesting at the Capitol. Voters apparently endorsed his business like approach requiring public employees to contribute more to their health insurance and pension benefits, like in the private sector. His plan erased a billion dollar budget deficit, reduced unemployment rate to below 7 percent, and prevented layoffs of policemen, firefighters, and teachers. With our lackluster economy, investment uncertainty, and decreasing home values, the important question now becomes what is your strategy for protecting your family against financial distress and fragmented relationships? With a properly constructed estate plan, you can save your family tens of thousands of dollars, protect them from creditor claims, and undue taxes. However, this is not an easy task. Due to these hard times, there has been an increase in contested estates and heated disputes among heirs and beneficiaries. There are some steps you can take to avoid family conflict and unnecessary probate litigation. The pinnacle of a solid estate plan is to hire a good South Florida estate planning attorney. It’s important to select one that is highly qualified with the knowledge of Florida state laws and experience in this complex area of law. Selecting the right personal representative to administer your estate and trustees to manage your trusts requires a well thought out plan. If you anticipate unavoidable family friction, it might be best to appoint a professional fiduciary such as a bank to manage your affairs. Most people don’t think to sit down with family members to discuss their intentions and how they wish to bequeath their assets. However, clear and effective communication can help avoid unpleasant family disputes once you are gone. In addition, updating and confirming your estate plan over time will minimize challenges to your estate. Finally, always make sure your assets are clearly titled to avoid any confusion in the future. If the family divide still cannot be mended, you can always try taking Walker’s advice and offer them some brats and beer.